That's not to say that Nebraska is comforting. As I said, much of its humor is off-putting, even to the jaded New York critics which sat in the same screening I did. Some have accused Omaha native Payne of having sarcastic fun at the expense of the kind of rural Americans that populate the film. Bruce Dern stars as Woody Grant, an addled septuagenarian which the movie finds walking from his home in Billings, Montana to Lincoln, Nebraska in order to claim a million-dollar sweepstakes prize he believes he won. 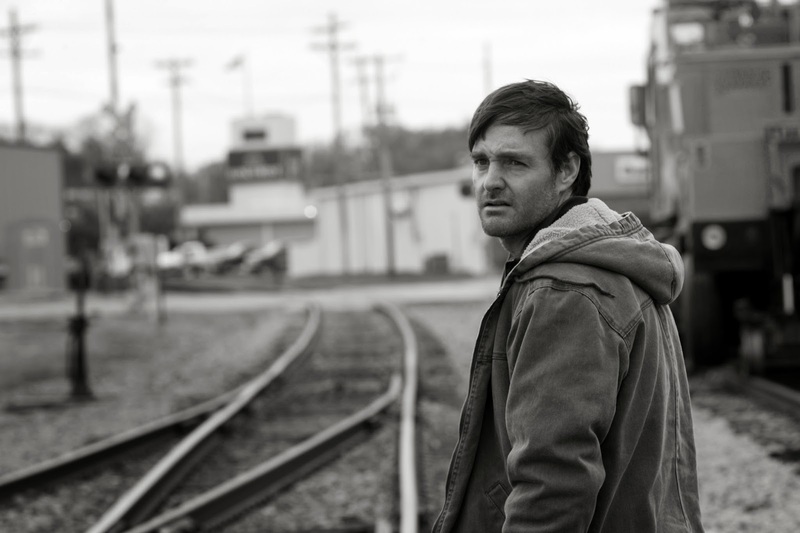 Will Forte plays his son, David, a stereo sales clerk at the kind of electronics box store that is rapidly going the way of the dodo. Though annoyed by his dad's drinking and growing dementia, David decides to indulge Woody in this final flight of fancy, offering to drive him there in order to give them both a chance to bond. Some might take issue with Payne portraying Woody as the kind of naive hayseed that might fall for the common sweepstakes con designed to sell magazine subscriptions. More alienating still is June Squibb's abrasive turn as Kate, Woody's wife and David's mother. Bitter and foul-mouthed, the crassness that accompanies her appearances often disrupts the laidback freewheeling road trip that is the rest of Nebraska. But in Nebraska Payne very deliberately seems to be following two parallel tracks in which he builds a case defending rural Midwesterners from the judgmental manner in which coastal dwellers (myself included) often perceive them. On the one hand, Payne is using our perception of the lower working class as angry whites who want to take their long gone America back as a sort of foundational assumption most of us can agree on before beginning to deconstruct that myth. A scene in Woody and Kate's hometown cemetery, in which she proceeds to profanely talk ill of many of her husband's dearly departed, metaphorically aligns with many of the most ardent religious and social conservatives' belief that they were betrayed, sold on the myth of the American Dream. On the other hand, Woody's naivete is portrayed with an earnestness that underscores how much Payne respects the nobility of the kind of person who, because of lack of means or education, disproportionately serves our country in times of war only to be discarded or ignored by the cultural elite as illiterate bumpkins later. One poignant scene has David visiting Peg (Angela McEwan), the editor of the local newspaper in Hawthorne, his mom and dad's hometown, in order to dissuade her from publishing a story characterizing Woody as a sweepstakes winner. David is surprised to learn that his mom stole Woody away from Peg when they were younger, but more of a revelation is the fact that Woody returned from the Korean War a nearly mute shell of the man he once was and why. Fittingly, Phedon Papamichael's silvery black-and-white cinematography recalls that of the late, great Robert Surtees for The Last Picture Show. Nebraska's Hawthorne looks like what The Last Picture Show's Anarene, Texas might be like now, a dead husk of a once glorious berg occupied by an aged blue-collar class left behind because of their inability to foresee the economic calamities that would mire them there. 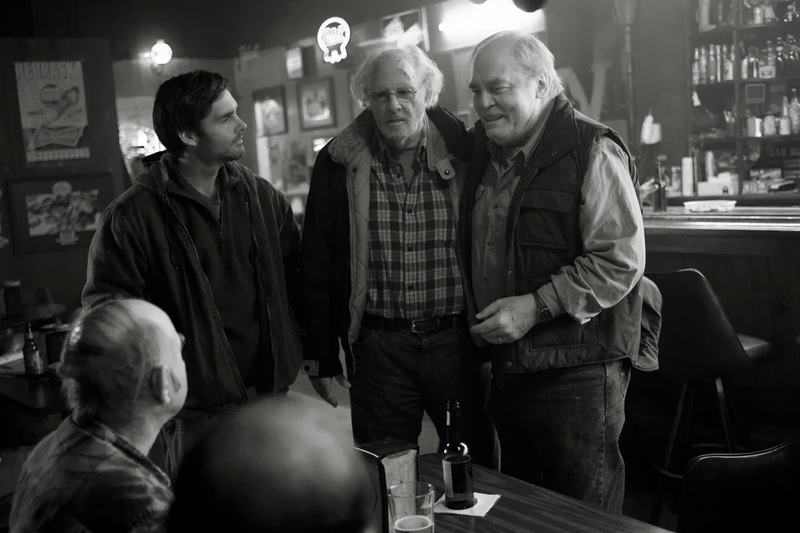 Yes, there's a lot to laugh at in Nebraska, but it is a mournful tribute, too, a melancholy ode to America's rural working class from one of their own.